Alden 306 Boot. Limited inventory. 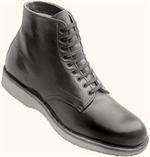 Blucher Workboot. Pattern: Nine eyelet Plain Toe Blucher Work Boot. Lining: Long wearing Cambrelle® lining for comfort. Outsole: Long wearing Alden unit sole. Shank: Heavy, ribbed, tempered steel right and left shanks. Positioned from well back in the heel seat and extending forward to support the metatarsal area. Insole: Natural vegetable-tanned leather insole features special reinforced rib for extra strength during modification and rebuilding. Insert: Choose from a range of specially designed inserts, including molded cork, breathable polyurethane memory foam, and Frelonic Air-O-Wick. Fitting: The Contoured Depth Inlay® Last provides additional depth (up to 3/8 inch) in a design that accommodates corrective inserts while maintaining excellent fitting qualities. Use for a wide range of applications where extra volume and insert accommodation are needed. The Alden 306 Boot is a made from the CDI last. This unique system offers precise fitting and correction location with up to 3/8" insert depth. All C.D.I. shoes are manufactured to Alden's highest quality standard. Full leather Goodyear welt construction, supple full grain leathers, soft leather linings are combined with tempered steel shanks, long medial counters, and leather insoles for strong support with softness. Alden's C.D.I. shoes offer a wide choice of styles, from imported calf dress oxfords to our updated casual ultra softs. No matter how difficult the case, Alden's C.D.I. shoes are a most versatile trouble shooter. CDI can most effectively be used to rebalance the entire foot with perfect fit and complete comfort since both shoe and inlay are compatible in design. CDI may be used where extra room for hammer toes or overlapping toes is needed. CDI may be used for severe metatarsalgia cases, where a depth impression for heads is desired along with proper rebalance. CDI may be used for spur heels since inserts are easily modified. CDI may be used for adjusting size differences of feet without custom shoes. 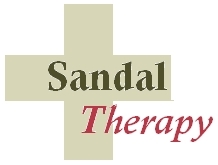 CDI may be indicated for the arthritic sensitive foot where a part of or the entire plantar surface is involved, by replacing certain areas of the inlay with various new soft resilient products. CDI has the accommodation for successful use with internal bracing. CDI may be used in some cases of temporary foot edema where a gradual change in size is required. CDI shoes will accommodate other custom inlays with better results because the lasts are scientifically designed for this purpose. CDI is a specially designed shoe constructed with a removable Contoured Depth Inlay. CDI shoes are designed with varying degrees of depth to accommodate inlays and deformity while retaining fit and hindfoot control with complete forefoot freedom. Each shoe carries a full length Contour Depth Inlay of resilient material designed to serve as a removable base, and whose plantar surfaces approach the neutral position in weight bearing. CDI offers you the opportunity to check fit and feel in one visit without costly and painful revisits and complaints. After the desired foot balance has been achieved, a careful record of the patient's modification can be retained, and the inlay permanently cemented within the shoe. CDI is good looking! Looks normal because of its unique design. It is featherlight and strong, a great combination. The great advantage of CDI is that it allows a professionally corrected insert to be accommodated immediately in a compatible shoe with extra room, extra depth. CDI is quality, the best materials with the best possible basic design. It is a professional item with a sophisticated scientific background of research and development. CDI can eliminate the need for costly custom shoes or mismates. CDI results can never be disturbed because of poor shoe accommodation since the shoe and inlay are "design compatible". There's no substitute for professional shoe fitting. 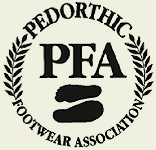 And it's worthwhile to be fitted by a certified pedorthist especially if you're experiencing discomfort or seeking injury prevention. Call in advance to schedule a convenient appointment.